The average overhead door weighs somewhere between 130 and 300 pounds. This immense weight is carried by a pair of strong springs which are put under tension each time the door moves. They wear out over time, and they will eventually break - if the door is in motion while that happens, it will drop immediately. It can be very dangerous if this happens, which is why it’s essential to look out for signs that your springsare beginning to fail. Why Do They Wear Out? Simply put, they aren’t strong enough to last forever. Garage door springs are built from extremely durable materials, though, and even a cheap torsion spring canlast somewhere around 7,500 cycles. Each cycle represents one full opening and closing of the door. This may sound like a lot of iterations, but a busy household can easily get through more than a thousand cycles annually. What Contributes To Wear And Tear? Like every other part of your overhead door system, the springs require regular maintenance in order to remain functional. You can lubricate them in order to prevent corrosion, reduce noise and increase efficiency and smoothness of operation, but even that won't make them last forever, although it will extend their lifespan by a considerable margin. Checking the spring tension is another important maintenance task that should be performed, but any adjustment should be left to the experts, due to the inherit dangers involved. As your springs begin to wear out they will gradually lose strength. Often this results in a door that wobbles visibly when it moves, or one that has trouble rising. Also, make sure to pay attention to excessive squeaking noisesthat occur while the door is moving; although this can be caused by other components, it’s also a common sign of spring wear. 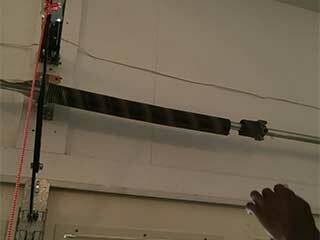 If you think your garage door springs are wearing out, don’t try and fix the problem yourself. The huge tension that these components are under can make dealing with them very dangerous if not handled properly. Our technicians can take care of them for you, and even replace them if necessary. Our team Garage Door Repair Minneola specializes in performing both spring replacement and adjustment, so don't hesitate to reach out to us for any related need you have.